KAZAN, -- A major overhaul of Tupolev Tu-160 strategic bombers will be completed in 2019, Boris Naishuler, the director of the Gorbunov Kazan Aviation Production Association’s design center, which upgrades the aircraft, said Tuesday. "The first stage of modernization has been completed; the second stage connected with replacement of nearly all onboard radioelectronic equipment on existing aircraft is expected to be completed in 2019," Naishuler told TASS. He said the process of modernization started with replacement of equipment installed on the planes back in Soviet times. "The planes have equipment that was manufactured in former republics of the Soviet Union. The modernization is aimed at replacing all that equipment, including navigation systems and communications equipment, with Russian," Naishuler said. Russia’s Air Force currently has in operation service about 15 Tu-160s, they are undergoing modernization announced in 2012. Besides, it was reported that Tu-160s will get upgraded NK-32 engines - a development batch is to be handed to the military in late 2016. Russia is currently developing a new strategic bomber dubbed PAK DA (prospective aviation complex of long-range aviation). The new bomber is expected to make its first flight in 2019 and become operational in the Russian Air Force approximately in 2023-2025. In late April, Russian Defense Minister Sergey Shoigu ordered his subordinates to work out the issue of resuming production of those bombers at the Kazan aircraft manufacturer. The Kazan Aviation Plant, founded in 1927, is a subsidiary of JSC Tupolev. 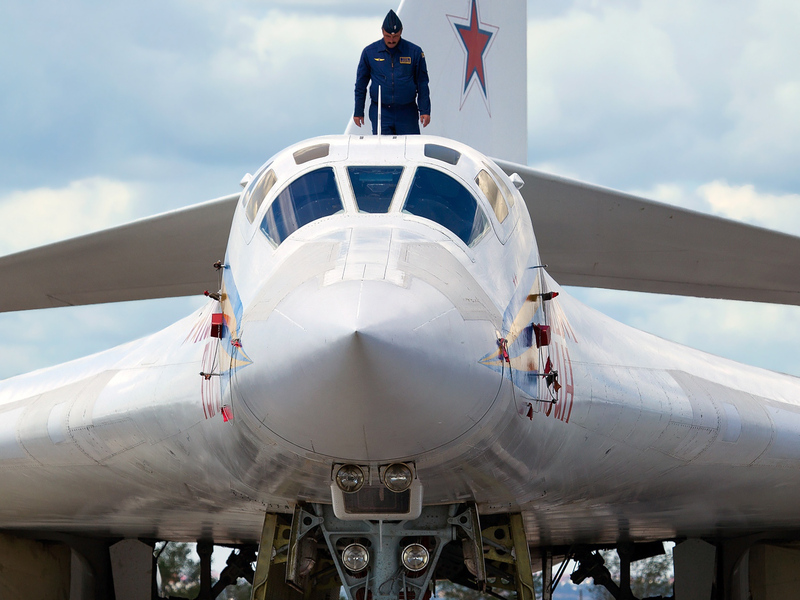 It currently manufactures special purpose aircraft on the basis of Tu-214, as well as repairs and modernises bombers. In addition, the company manufactures and supplies components and assemblies within the framework of cooperation with other plants of the United Aircraft Corporation. In particular, the Kazan plant is preparing for the production of wings and tail assembly for the IL-476 planes. The Russian Air Force TU-160 “Blackjack” Supersonic Strategic Bomber aircraft.